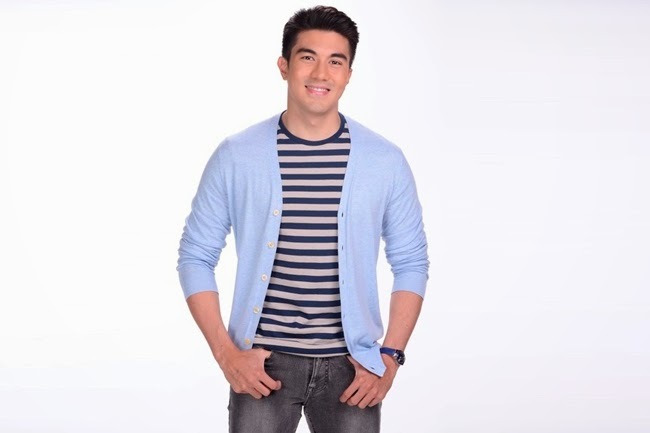 MANILA, Philippines — Luis “Lucky” Manzano, one of the most loved personalities in showbiz for his humorous antics and ‘boy-next-door’ personality, says he has a huge announcement to make this coming October, and nobody seems to have a clue what this is going to be about. Not his fans, his family, his close friends, and not even his girlfriend to whom he has been so openly affectionate to, the beautiful Angel Locsin. Although the 33-year-old actor, TV host, VJ, and aspiring comedian’s life has been much like an open book to everyone, especially to his 3.40 million followers on Twitter and 500 thousand or more on Instagram—sharing a number of photos of his personal life on the two social media platforms, he says that he has been keeping this big secret for quite a long time and has only decided to share it with everyone this October. Though he may seem like your adorable and funny man when we see him on TV and even in personal, rumor has it that this big secret of his will expose the other side of him that we have never really seen before. The question, though, is whether or not this side of his will render a positive or negative response from his fans. But there have already been various speculations made as to what this big secret could be all about, especially given the amount of time Lucky Manzano he has been spending in the gym lately. He is quite open about the new healthy lifestyle that he has chosen to commit to, posting photos of his hearty and balanced meals and lengthy workout sessions in the gym to share with his followers, but the actual reason behind this decision to dedicate himself to the life of health and wellness remains a mystery to everyone—including the ones closest to him. Whether it is for Angel or for his career, the reason remains unknown. Rumor has it that there is a huge possibility that this big revelation could be related to the ongoing engagement issue that he has with Angel Locsin. After all, the couple has been on cloud nine since getting back together and has not yet, to this date, had a serious fight. Could he be working out to stay in shape for that tuxedo he is going to wear down the aisle? But, of course, he has to win that sweet “yes” from Angel Locsin first. However there have already been previous reports that Angel Locsin has denied engagement rumors to Lucky Manzano, but fans still have their hopes up. If this whole getting-in-shape craze is not for Angel, then for what—or for who—could it be? Although a lot are dying to know what the big secret could be, the only thing left to do is to wait until October to find out what Lucky Manzano’s big secret could be.